The St. Dominic Savio Eagle football team opened the 2016 football season on the road against the Hallettsville Sacred Heart Indians. It was a tight defensive contest as the Eagles went toe-to-toe with the perennial TAPPS Division III state tournament Indians. Sacred Heart held a narrow 7-0 lead over the Eagles throughout the game as the Eagles would bend but not break. It wasn't until late in the game that the Indians iced the game to make the final score 14-0. Coach Gutilla was proud of the team's overall effort against one of the toughest opponents on the schedule. Despite the loss Coach Gutilla believes the Eagles will be able to correct the mistakes they made in the first game and prove they will be legitimate contenders for the TAPPS Independent Division playoffs. This Friday the Eagles are on the road again to face TAPPS Division II District 3 San Antonio Cornerstone Christian on the Cornerstone Christian campus at 7:30 pm. On the first day of school, the Savio Filmworks team captured the excitement, as well as nerves, that the first day of school brings to the members of the whole student body. They captured commentary from our principle, vice principle, and various students with a glance inside the school. The Savio Filmworks Team behind the lens are Savio students that desire to capture the school experience through the perspective of their fellow classmates. The main focus of the Savio Filmworks Team is to reveal the different personalities within our school, and appeal to all Savio groups and grade levels. They hope to capture the raw spirit of the school and bring to light the characteristics that not only make us unique, but also set us apart from others schools. View the video at the link HERE. Savio Students Attend World Youth Day! 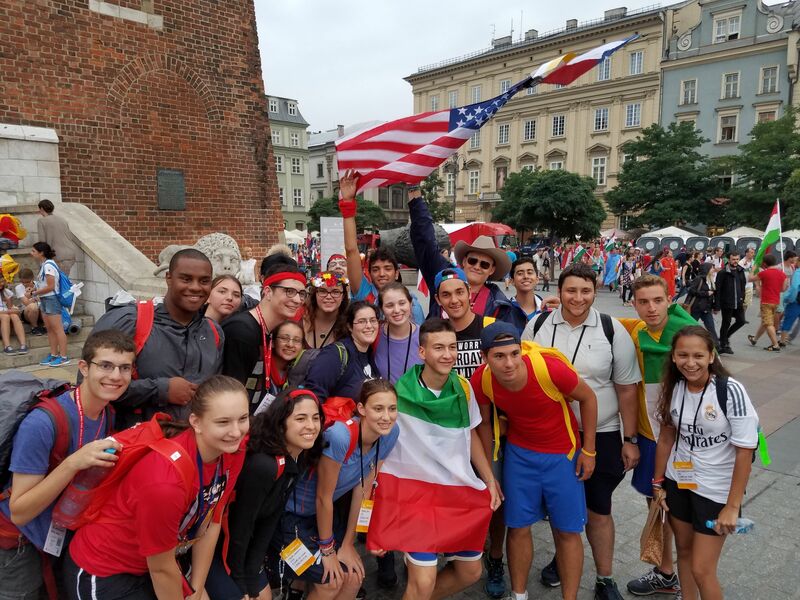 Eighteen Savio students and recent grads completed a pilgrimage to Krakow, Poland for World Youth Day this summer. In Krakow we attended many liturgies, Taize prayer, Exposition of the Blessed Sacrament, praise and worship with Matt Maher, and prayer in front of many holy relics of saints, such as St. Faustina, St. John Paul II, St. Maximilian Kolbe, and Bl. Pierre Giorgio Frassati. The Sacrament of Reconciliation was available in many places, including at the Divine Mercy Sanctuary, which many of us took advantage of. One evening we waited for 5 hours to be present for Pope Francis's goodnight address and were able to be only about 100 feet away from Pope Francis. We walked 4 miles to the Papal Mass and experienced the communion of the Eucharist with 3 million youth from all over the world. 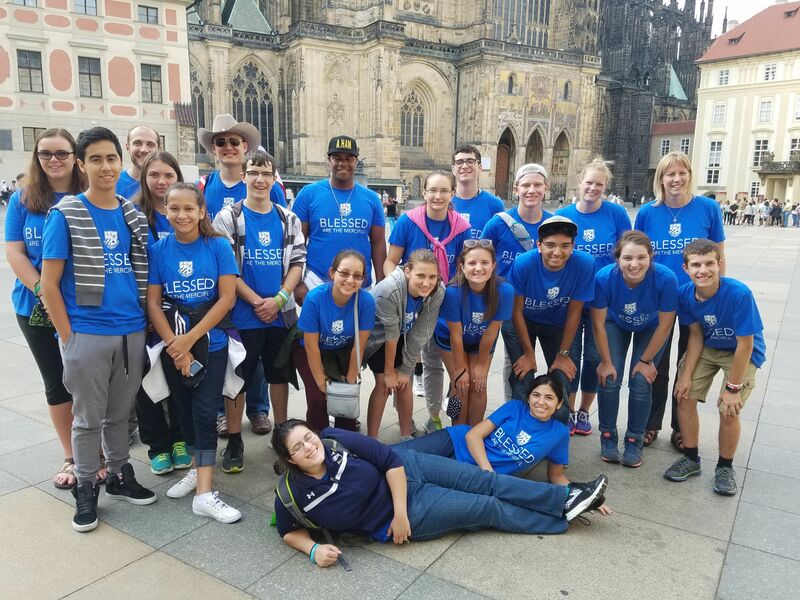 Before and after World Youth Day we traveled to Prague, Budapest, and prayed at the Shrine of the Infant of Prague and the Shrine of Our Lady of Czestochowa (a highlight for many of the students). We cannot wait to see what fruits this pilgrimage will bear in the Savio community in the years to come!